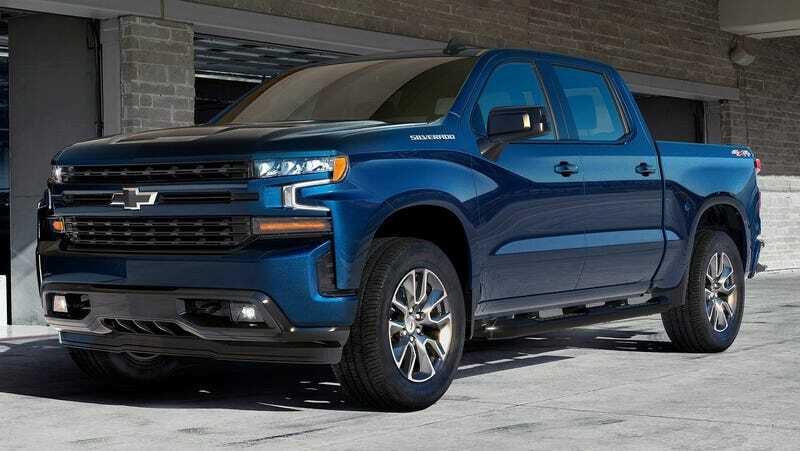 One of the 2019 Chevy Silverado’s most enticing options is without a doubt its new inline six-cylinder 3.0-liter Duramax turbo diesel engine. Chevrolet hasn’t released official specs yet, but a credible document we’ve seen establishes that this engine will make a factory-claimed 277 horsepower and 460 lb-ft of torque, edging out Ford’s competing engine and possibly Ram’s too. An anonymous source shared a screenshot of factory information given to dealers which lays out power claims for the LM2 Duramax engine and the options it will be bundled with. Update Mar. 26, 10:00 a.m. EST: These power figures have been confirmed as by GM, which also added the statement that the diesel engine “is priced identically to the 6.2L V-8 as a $2,495 premium over a 5.3L V-8 model (or $3,890 over a 2.7L Turbo model) making the 3.0L Duramax the most affordable light-duty diesel engine on the market,” via email. The 3.0-liter Duramax will not be standard on any Silverado, but you will be able to order it with the LT, RST, LTZ and High Country trims. For your reference, the mid-sized Colorado’s 2.8-liter Duramax (a $3,500 option on that truck) than the heavy duty 6.6-liter Duramax, which you have to pay $9,395 for to get in a Silverado HD. For a closer comparison, the 2019 Ford F-150’s 3.0-liter V6 Power Stroke turbo diesel engine option costs $4,000 on a Lariat trim truck, while Ram’s 3.0-liter V6 EcoDiesel cost $4,495 last year. You can’t spec a 2019 Ram 1500 with an EcoDiesel engine right now, but word around the 5th Gen Rams Forum is that production of these will begin in the summer. The last EcoDiesel was rated to 240 HP and 420 lb-ft of torque. When it comes back, we’re expecting the engine to make at least as much power as it does in the new JL Jeep Wrangler: 260 hp and 442 lb-ft. Assuming all these numbers are accurate, they’re close enough to imagine the capabilities of these engines not differing too wildly from one to the other. Alas, no fuel economy figures for the Silverado are up on fueleconomy.gov as of this writing. But here’s hoping the Chevy can beat a 2WD F-150 diesel’s EPA claim of 30 mpg on the highway. The half-ton diesel has not been around very long–the Ram 1500 EcoDiesel led the recent charge in 2014, and it hasn’t had any direct diesel competition until, well, now. It will be very interesting to see Chevy, Ford and Ram battling it out in yet another subsegment of pickup trucks in about a year’s time.